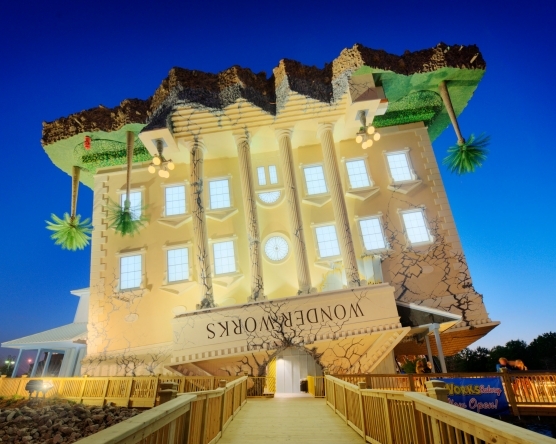 Wonder Works will give Myrtle Beach visitors the opportunity to experience what has previously been available in only Orlando, Fla., Pigeon Forge, Tenn., and Panama City Beach, Fla. The wide variety of both mentally and physically stimulating exhibits is sure to put all visitors in awe. All exhibits feature highly sophisticated graphic and audio presentation techniques and are designed to appeal to all age groups. These include the Design and Ride Roller Coasters, where everyone can put together their own roller coaster that moves 360 degrees in any direction; the WonderWall, in which people can create 3D impressions of their entire bodies by pressing into a wall made of 40,000 plastic pins; the Bubble Lab, where visitors can put themselves in a gigantic bubble that they’ve created; and a Velocity Ball, which enables guests to see just how fast they can pitch the ball to a major league baseball player.